With Boxee abandoning its support for dedicated desktop client, XBMC (upon which Boxee is actually based on) has become the unquestioned king among media center apps for Ubuntu. There is more good news for all XBMC fans. XBMC has just been accepted to official Debian repositories. This means, in all probability, you will be able to install XBMC directly from Ubuntu repos (aka Ubuntu Software Center) starting from Ubuntu 12.04 Precise Pangolin. In a recent blog post, XBMC team has announced the official induction of XBMC into Debian, thanks to the hardwork by XBMC developer Andres Mejia. This means, Debian unstable users will now be able to install XBMC without using any third-party repositories. Many popular distros like Ubuntu and Linux Mint is actually based on Debian and sync their packages regularly. XBMC devs has succeeded in requesting a sync to Ubuntu in time to hit Ubuntu Precise Pangolin, so users of this next LTS release will be able to install XBMC from Ubuntu Software Center with just a few clicks. 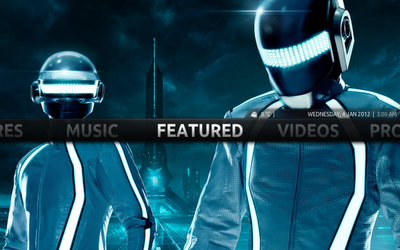 Also read: Aeon Nox 2.0 theme for XBMC 11.0 "Eden" has been released.